on Video Production System Switchers. Need MORE help? We also offer support and training for video production equipment hardware and video streaming software, click for more. What is a Stream Breeze? Do they support HD Video? Can I use my favorite video editing program or disc burning software instead of what is included? Do the Stream Breeze Systems have titling capabilities? Do the Stream Breeze Systems have a digital disk recorder (DDR)? How many? Can I use video from a DVD? Can I record to a different resolution than the resolution I stream my video? Can I use video clips of different resolutions in my project? It is possible to mix resolutions? What type of audio files do the Stream Breeze systems support? Can I create playlists for my video and audio files? What video recording formats are supported? Do the Stream Breeze systems have the ability to do Chroma-Key (green screen) or utilize Virtual Sets? Can I use video, stills or Power Point presentations from another computer? How is it done? What about from my Apple Mac? Can the Stream Breeze systems create a DVD of my videos to archive or to distribute? 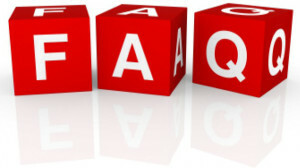 How much video storage is included with the different Stream Breeze systems? What if I need more? What types of video inputs are available and how many can I get with the Stream Breeze systems? Can I record my camera inputs independently in addition to the switched recording? What kind of audio controls do the Stream Breeze systems have? What kinds of effects and controls do the Stream Breeze systems have included? Can they be set independently per input? How many video overlay channels are included in the Stream Breeze systems? Is it possible to do a split screen between two video sources? What about four? Can the Stream Breeze systems create a picture in a picture? How easy is it to setup? Can the Stream Breeze systems be remotely controlled? What functions are available? Are the systems upgradeable? What about software upgrades? What type of cases do the different systems include? 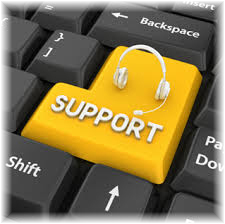 What kind of support is provided or available? If I order today how soon can I get one? Stream Breeze is a line of Video Production System Switchers optimized and configured for live switching and streaming of video content. They basically include all of the features that formerly required a full rack of video hardware: switching, monitoring, character generation etc.. You plug your video cameras (1 to 8 depending on model and configuration) into the Stream Breeze and the software allows you to switch between these sources as well as up to 1,000 virtual sources (video files, graphics, etc. ), add titles and graphic overlays, use Chroma-Key (green-screen) to layer up to 4 levels deep, record the output stream to a digital file and send the program output to a CDN (Content Delivery Network) provider to allow viewers to watch your video stream on their computers, tablets and smartphones. Are they HD or SD or both? YES! All Stream Breeze systems can work in both SD and HD mode, but be advised that most web streaming is done at a lower resolution than HD due to bandwidth issues. Many homes are still limited to dial-up or DSL internet speeds, with only large metropolitan areas served by broadband hi-speed internet, therefore many web streams typically are no higher than 720p resolution. But you can still use HD cameras and record your video to a file at full HD resolution. YES! While our systems typically ship with Sony Vegas or Movie Studio Platinum, if you prefer other software (such as Adobe Premiere Pro) it will work just fine. You can also install ANY of the Adobe Suite programs such as Photoshop, Illustrator etc. with no problem. Simply be aware that you should configure them to use a scratch disk (disk used for temporary files) that is NOT the system or record drives. Use an external drive or the playback drive installed on your machine for best results. Also, do NOT save or store your video files to the desktop or system drive as that may seriously degrade performance and is NOT recommended. You can also install and use your own preferred disc burning software (such as Nero, et al) if you like. Yes there are pre-made titles, lower thirds, animated lower thirds, etc., whose text can be edited easily, there is also a title editor within the software. Additionally, you can create titles using your own graphics with most any image editing software. Yes, all video production system switchers models except for the Echo come standard with one DDR for the program output but can be upgraded to record 4 video inputs as well. The Stream Breeze Echo allows recording of up to 4 video inputs simultaneously PLUS the main program output stream. Yes you can source video from a DVD by placing the DVD into the DVD drive included on all systems or by copying the VOB files from the DVD onto the Playback media drive on the system. Be aware you should have the rights or obtain the rights to use the footage on commercial DVDs or you may be in violation of copyright laws if you use footage from those DVDs. Yes, in fact you will likely stream your video in a lower resolution than what your cameras output provide because most end users will not have a fast enough broadband connection to see a full HD stream without experiencing significant buffering which can be frustrating and will likely dissuade them from watching. Yes with some limitations. Ideally you would want to set your video recording and video output to match the lowest resolution clip you are using. You should not attempt to upscale SD video to HD resolution; if you wish to do that the video should be converted ahead of time using the editing software on the system. They support common MP3 and WAV audio files. Yes you can create a separate playlist for your audio files and one for your video files. What formats are the video files recorded in? Currently the video production system switchers record industry standard AVI, Mpeg-2, WMV and MP4 file formats. Yes, all the systems support Chroma keying and include several virtual sets, with additional sets available on-line for download. Contact us for more information. The Stream Breeze video production system switchers use a feature called Desktop Capture, which by way of running a small app on the Mac or PC allows the Stream Breeze to use the other computer’s desktop or application just like any other type of video input. It will automatically scale the input to match the resolution being used by the Stream Breeze system. Yes! Software is included that allows you to author DVDs using recorded video files. It is not possible to record a live stream directly to a DVD. Depending on the particular file formats, compression and bit rate chosen you can get around 100 hours of video storage on all the systems except the Stream Breeze Echo Instant Replay System which is limited to about 44 hours of 1080 resolution video or about 11 hours of four channel 1080 recordings. All of the Stream Breeze systems can be customized with additional video storage as required. The Stream Breeze Flex includes four HDMI inputs, the Stream Breeze Pro includes four HD-SDI inputs as does the Stream Breeze Echo and the Stream Breeze Broadcast system includes either eight HD-SDI or eight HDMI inputs. Custom configurations are also available. Only the Stream Breeze Echo system comes with that capability out of the box, however all other Stream Breeze systems can be upgraded to support recording up to four channels of HD video. All Stream Breeze systems include level, gain, compression and gate controls as well as audio delay settings. The Stream Breeze systems allow control over individual Red, Green and Blue levels as well as Saturation, Black Stretch, White Stretch and Alpha Channel, De-Interlace Blend, Sharpen, Mirror and Aspect Ratio. Additionally there are adjustments for Chroma-Key, Chroma-Key filtering and Luminance Key. All can be set per input whether it is a live video input or a clip loaded in for playback or any other source. All Stream Breeze systems have four video overlay channels. However, when you are using the built-in virtual sets that use four layers internally for the elements of the virtual set itself, there are also four external layers that can still be used for titles and additional elements (such as Bugs, Timers or Scoreboards). Yes there are several different ways to do split screens, you are not limited to side by side, you can display them top to bottom as well, you can also display four inputs in a quad split screen. Yes the Stream Breeze systems can create picture in a picture very easily. You can create it with a dedicated input or configuring one of the overlay channels to always display that channel as a PIP no matter what video source is chosen for that overlay channel. Yes! All the Stream Breeze systems can be controlled by any Computer, Tablet or Smart phone using a web browser. Practically all the controls available in the software interface can be controlled via the web interface: switching between video sources, titles, clips or images can be switched with transitions remotely, additional function’s shortcuts can be assigned to allow you to start and stop the streaming or recording independently, as well as fade to black. The web interface even allows you to edit the text in your lower thirds or other titles remotely. Are the systems upgrade-able? What about software upgrades? Yes all the Stream Breeze systems are upgrade-able, we can add additional storage or memory, Blu-ray Disc Burners, etc.. The switching software is being updated regularly and the updates can be performed by the end user. Software updates are provided for free for the first year and additional years can be purchased for a nominal fee after that time. The standard case for the Stream Breeze Flex and Stream Breeze Pro is a Mid Tower case, the standard case for the Broadcast is a Rack Mount case. The Stream Breeze Echo standard case is a Micro ATX size case and the Stream Breeze One uses a smaller ITX size case as standard. With the exception of the Stream Breeze One, we can configure all the systems in their standard configuration in a Rack Mount case, Mid-Tower Case or Micro ATX size case. All Stream Breeze systems purchased new are provided with One (1) FREE hour of online support and/or training, additional training or support can be purchased after the free support has run out. As all of the Stream Breeze systems are custom-built to the client’s specification, it will usually take 7 to 10 business days to receive yours. We test burn-in each and every system for two days to verify all of the component’s operational performance. During that time we will pre-configure the system to match the resolution and frame rate of the cameras to be used with the system using the information you provide. If you have any additional questions please email them to us using the contact form or call us at 727-573-9600 and we will be more than happy to answer any questions you may have.